It’s no secret that the vintage watch market is booming. 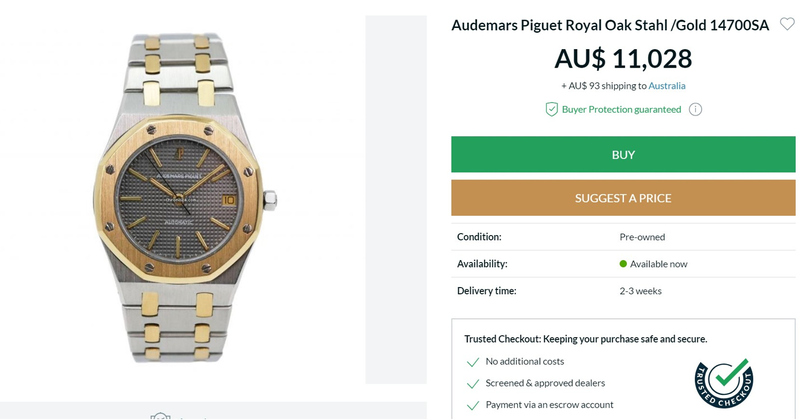 Take a peek at recent results from the big watch auctions by the likes of Phillips and Christie’s and you’ll see that prices are on the rise. Great news for those who have collections that are more akin to a retirement nest egg. But for us lesser folk who are just looking to find our way into the game, it’s becoming increasingly hard to find good value vintage timepieces. However, while the market may be dark and full of terrors, there’s still hope. Take two-tone, for example. Once trendy steel and yellow watches typically costing less than their all stainless-steel counterparts, their cool factor is finally on the rise again, making it the perfect time for bargain hunting. As always, when buying vintage, it’s wise to tread carefully. And the combination of steel and gold is not without its own pitfalls. With things to be aware of, like the dangers of gold plating and the obvious Patrick Bateman association. However, if you do your homework and can learn to embrace the two-tone, there’s still plenty of value to be found. 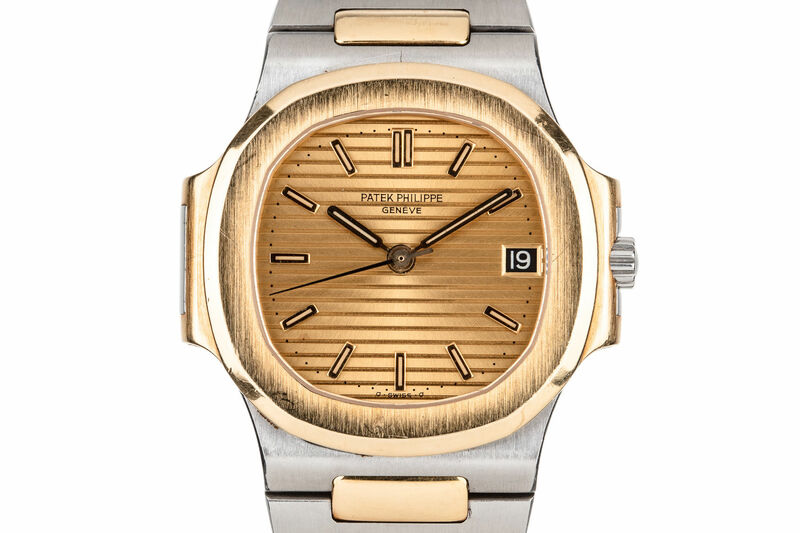 A slightly smaller version of the Genta-designed Nautilus, this two-toned beauty (ref. 3800/001) still measures a very reasonable 37mm. It brings the bling with a stunning gold dial, but what really stuns is the price – less than $16k USD. Another one born from the mind of Gérald Genta. Bi-colour combinations of the Royal Oak stretch way back to the original reference 5402. Sure, the case of this ’90s version may be a little on the small side – at 36.5mm – but at a little over $11k Aussie, it’s hard to beat. Perhaps the most well-known of all the two-tone watches. The Rolex Datejust was introduced in 1945, and has graced countless wrists, from American Presidents to American Psychos. Models like this one above can regularly be found for under $5k. It wasn’t until 1978 that the first Santos was offered in steel and gold. But ever since, it has remained one of the most iconic two-tone watches of all time. Add that to its place in horological history as the very first wristwatch for men – as well as the first pilot’s watch – and for prices regularly around $4k AUD you can’t really go wrong. 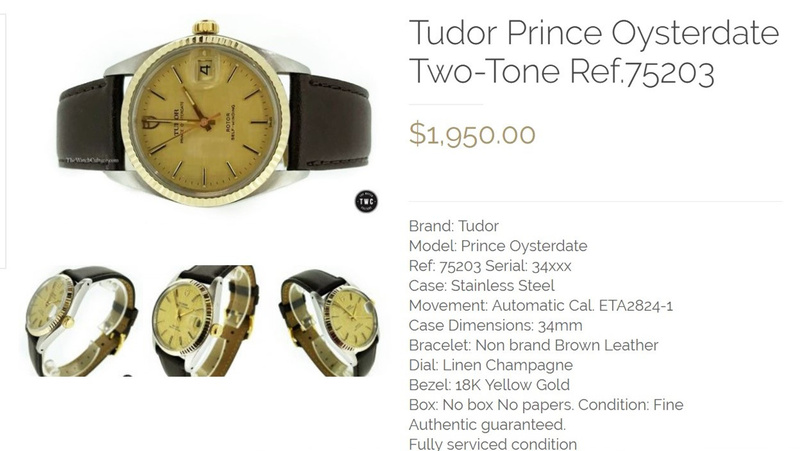 Prices of vintage Tudor have skyrocketed in recent years. But there’s still plenty of value to be found, with watches like this Prince Oysterdate. It’s also a good example of how a change of strap can dial things down a notch.